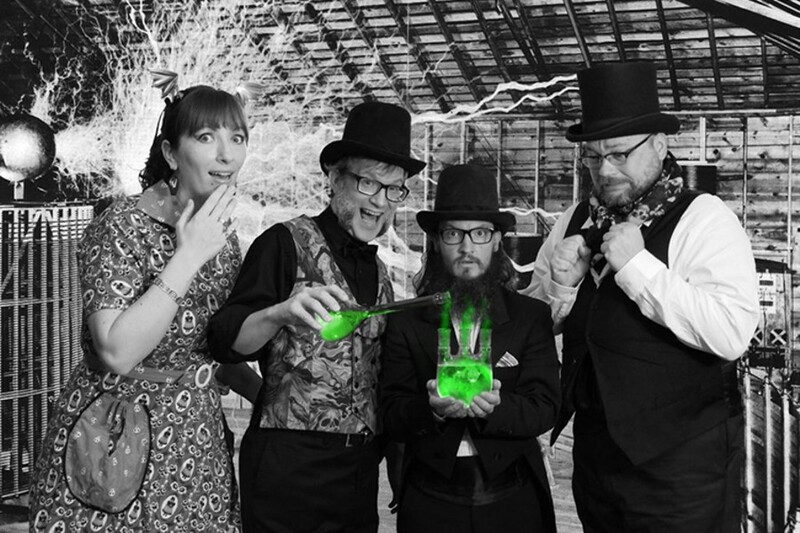 Courtesy of the artists The Invincible Czars play the soundtrack to Nosferatu at the Eureka Theater at 7:30 p.m. on Wednesday, June 14. 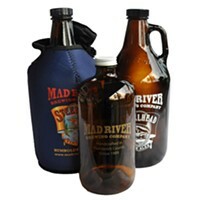 Electric-acoustic "mayhem" are on the bill this evening at the Mad River Brewery Tap room in Blue Lake at 6 p.m. Returning to the outdoor stage is Kaptain Kirk's Kosmic Koncoction, which will be jamming the eclectic tunes free of charge. Three hours later, David Dondero — whom NPR hailed as one of "the best living songwriters" about a decade ago — is making a visit to the Miniplex stage in Arcata. With 12 albums to his name, Dondero has a similar rambling spirit to his songs that represent the classic storytelling tradition of Americana troubadours kicking down the dusty dirt roads sidewinding along long silent train tracks. He's joined by local hero and quirky joyful songwriter John Ludington and fellow locals Kids Eat Free for this $10 sliding scale show. Arts! 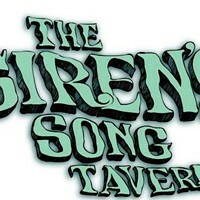 Arcata is in full swing tonight and perhaps before you make it down to the plaza, you can catch some swingin' tunes courtesy of Lizzy and the Moonbeams at the Mad River Brewery at 6 p.m. Then perhaps you can hit up Arcata to check out the local art up and the various talented local musicians performing around town. If you're looking for some coffee and some tunes the kids can check out, The Ethniks will be doing their international thing over at Cafe Mokka for free and starting around 8 p.m. Although I live in Blue Lake, I hadn't heard much of the "Blue Lake 2017 Summer Kickoff Event" happening at Perigot Park this afternoon. However, I'm happy to hear that local father/son x2 rock band Doug Fir & the 2x4s will be playing at 1 p.m. I believe it's a free gig, and one that you can bring the kiddos to, so that's a definite plus. Make sure to put on some sunscreen as you may be dancing about longer than you imagine. If you can hang out longer in Blue Lake, walk over to the Mad River Brewery for the local honky-tonkers The Detours, who will be on around 6 p.m. and also for free. Kids are welcome at this one too. Talented local percussionist Sam Kaplan-Good gives me a heads up that one of his bands, Rogues' Gallery, whom he describes as "good ol' boys with original country songs, upright bass and a pedal steel," will be at The Siren's Song Tavern in Eureka tonight joined by Lyndsey Battle's new trio Daily Driver. So you've got plenty of reason to check out this 9 p.m. show that'll only set you back $5. At the same time, at the top of the hill in McKinleyville, you'll find the rock and blues of locals The Lost Dogs at Six Rivers Brewery. It's a free show, but always feel free to leave a tip if you appreciate the hard-working band. In the event you missed Doug Fir & the 2x4s in Blue Lake earlier, you've got a chance in Loleta tonight at 9 p.m. as they'll be playing at the Bear River Casino for free. It'll be a long day for these fellas, but something tells me that they'll be having a blast at each show. 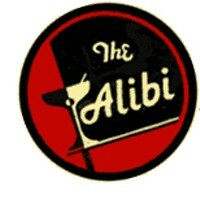 It's cause for celebration tonight as The Alibi is celebrating 14 years of live music right there on the plaza. Music will be starting around 11 p.m. with local "experi-metal" band Dead Man's Tale along with local stoner rockers Ultramafic. Celebrate those keeping the pulse alive for free tonight at The Alibi. 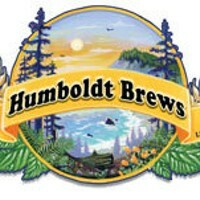 Although not exactly a live music show in the normal sense in the context of this column, I can't help but spread the word about Humboldt Brews tonight screening a live performance of Pink Floyd live at the KQED studios in San Francisco back in 1970. I remember buying a VHS copy of this performance back on some fan site in the late 1990s and really enjoying this overlooked era of Floyd's career. It's pre Dark Side and post Syd, when Floyd was still experimenting with their acoustic sound. Screening starts around 8 p.m. and is free from what I can tell. Andy Powell is a congenital music lover and hosts The Album of the Week Show on KWPT 100.3 FM Tuesdays at 6 p.m. He hopes living will be easy this summer.